A director and designer with 20 years of experience in Film, animation and design. 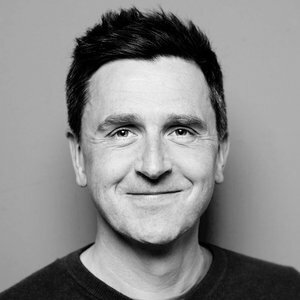 His diverse style has given him opportunity to work with clients including Dyson, Paypal, RBS/Natwest, Project Everyone/ United Nations, Imperial War Museums, BBC, Cartoon Network, Ubisoft and Pernod Ricard. Aside from his directing work, he has a versatile hand in art direction, character design and visual development for feature film, commercials, VR film and TV series. His work has won numerous awards including D&AD pencils, Kinsale Sharks & an ASIFA Annie. He is represented by Aardman Animations, UK.